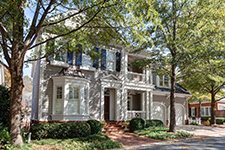 Dunwoody Property Management, Dunwoody Property Managers, Dunwoody, GA Property Management Companies. Our experience, knowledgeable team, and creative thinking allows us to offer you the best possible service with a personal touch. From Single Family Homes, Townhomes and Condos - every home we manage is cared for as if it were one of our own. We look forward to talking with you soon to create a Property Management solution that meets your needs. We will provide you with a Market Rental Analysis for your area and suggest the best monthly rental amount that will quickly attract qualified prospective tenants to lease your home. We will advise and assist you on preparing your home to be photographed, marketed and ready for the new Tenant. As soon as the home is ready, we hire a professional photographer to create top quality pictures of your home to use in all advertising. Your home is then advertised in FMLS, our Website and the many online sites these feed to. We will place a sign in the yard (as long as this is permitted by the HOA) and a Supra Lockbox on or by the front door. Only license Real Estate Agents are permitted to enter and show the property. We will monitor activity levels and recommend any adjustments if needed. Our experience with thoroughly reviewing the details of the application report has benefited us with no evictions in the last several years. We will meet the Tenant at the home to make sure there are no questions about the operation of any systems of the home. We will review the Lease documents. A full Move-In Inspection is completed. Keys are turned over to the new Tenant. All Rental Account funds are held in Escrow Accounts. At your fingertips, you can access the Owner Portal to see all Documents, Accounting Details, Monthly Reports, Invoices, and more 24/7. Owner Draw funds are sent electronically or mailed (per your preference). 1099’s and Year End Expense Summaries are sent out for ease in handling Tax prep. 90 days before the end of the Lease term we open communication with the Tenant regarding renewal or move. At the time of Move-Out, a full Move-Out Inspection is completed. Each property is fully inspected yearly. Each pre-approved Vendor that goes to the home also completes a visual sweep of the home and alerts us if any items of concern are noted. In the event of major damage, we will work with your insurance company to handle recovery and repair. Every Real Estate Investment offers financial benefits ranging from Cash Flow to Tax Savings. Spalding Brokers, LLC is here to help you identify, purchase, manage, and grow your Investment Portfolio to reach your goals. Put our experience to work for you. The Dunwoody area was established in the early 1830s and is named for Major Charles Dunwody (1828–1905), an extra "o" added with the incorrect spelling of the name on a banking note Charles Dunwody originally returned to Roswell after fighting in the Civil War, in which he fought for the secession of the Confederate states. Copyright © 2019 Spalding Brokers. All Rights Reserved.